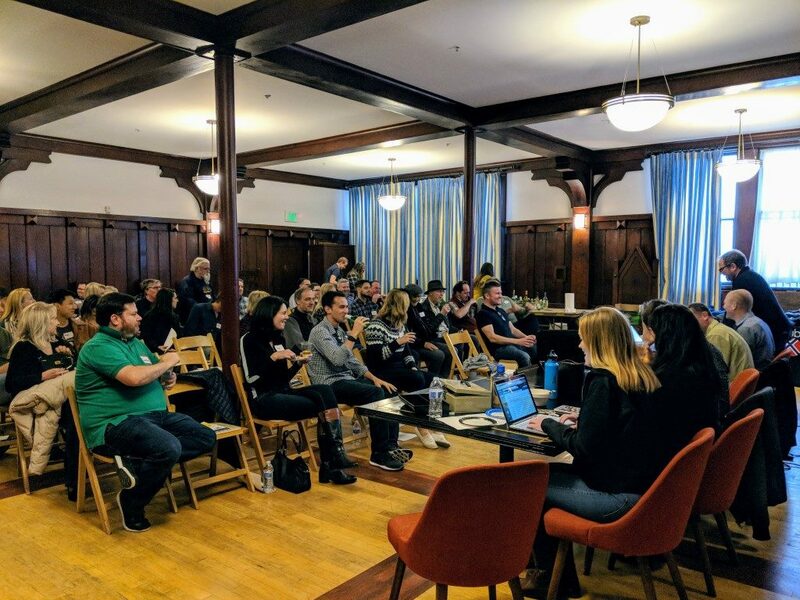 The Young Scandinavian Club general elections meeting was held this past weekend on Sunday, February 11th, at the Swedish American Hall in San Francisco. While an independent music event, with young attendees running about, was taking place upstairs in the Freja hall, the turnout was impressive. Over 50 members gathered in the Odin Hall downstairs, hoping to have their voices heard and to vote in new members on to the Board of Directors. With long-time members and new adjuncts in attendance, the first hour of the meeting went over the financial status in depth. The statistics and financial figures were presented by Lars Gunnilstam, club treasurer and board member. Overall, the figures reflected lower attendance and lower membership rates for the club in 2017 than has happened in prior years. However, this is a trend among most cultural organizations in the area according to current president Peter Nordström. The meeting then took a 20 minute break for socializing and welcoming in members who were not present for the first portion of business. Refreshments of beer and wine, and light bites were enjoyed. The meeting resumed, eager to tackle the issues forthcoming for the new year and voting in new board members. This year, the voting had changed to include more involvement on the board. Instead of nominating three new people to the board of 9 officials, the board decided to opened up a new spot for 10 people to be on the board of directors. This would allow more support for the club in its various responsibilities and initiatives, with more people delegated to lead the way. A great thank you to outgoing board members Joshua Brost and Stein Petersen for their extensive service on the board for the past several years. Carsten Hughes, long-time member heavily involved in Clear Lake activities and events in San Francisco, was the only incumbent to run for election again. We had four new candidates, for a total of five members running for for the board of directors: Solveig Barnes, Jesper Lundbaek, Natalia Nordström, and Andrew Vik. Lundbaek has spearheaded the management of the Tahoe cabin for the club. Nordström, wife of current YSC president, has helped out the club for many years, stepping in to manage activities and logistics consistently. Andrew Vik is a long-time member with legacy in the club, formerly serving on the board and as president, with multi-generation involvement in the club. Most recently, Vik has hosted happy hours in the city, started a film night series in partnership with Swedish Society of San Francisco, and lead an urban hike–stay tuned for the next hike in the next few months. New-comer Barnes has been in the club for several years, she campaigned on the promise to reinvigorate the website and activities at Clear Lake to promote membership for the club. Each candidate fielded questions from the audience, including their proposed idea for improving the financial situation of the club and to increase membership. Overall, everyone agreed more events need to occur in San Francisco and in Clear Lake to fund the cabin repairs. It is evident the great amount of contribution and commitment from each candidate has added invaluable wealth to the club, making the voting decision very difficult–and very close. There was even discussion of voting all of them in! 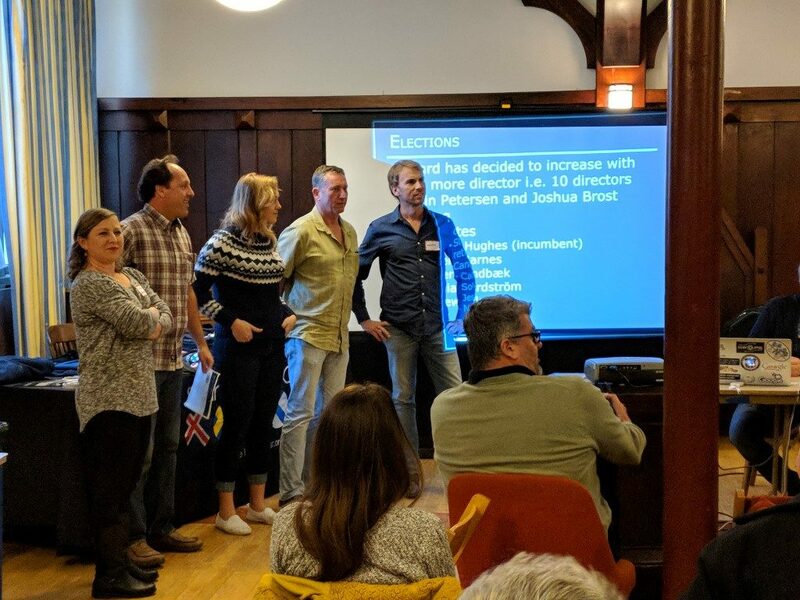 However, only four were elected of the five to move forward and serve the YSC: Lundbaek, Hughes, Nordström, and Barnes. After the new board members accepted their positions, the club turned to the top agenda of the club. Board member Michelle Beason gave a presentation proposing several options for the new water system, and collected input from the members for a strategy ensuring the cabin has clean water in the years to come. The club also brainstormed new ways for growing and cultivating membership through volunteering in new events and setting a schedule for events at Clear Lake so summer vacations won’t conflict. Clearlake is obviously a huge part of the club, symbolically and financially, requiring a lot of input from the board, its members and guests. 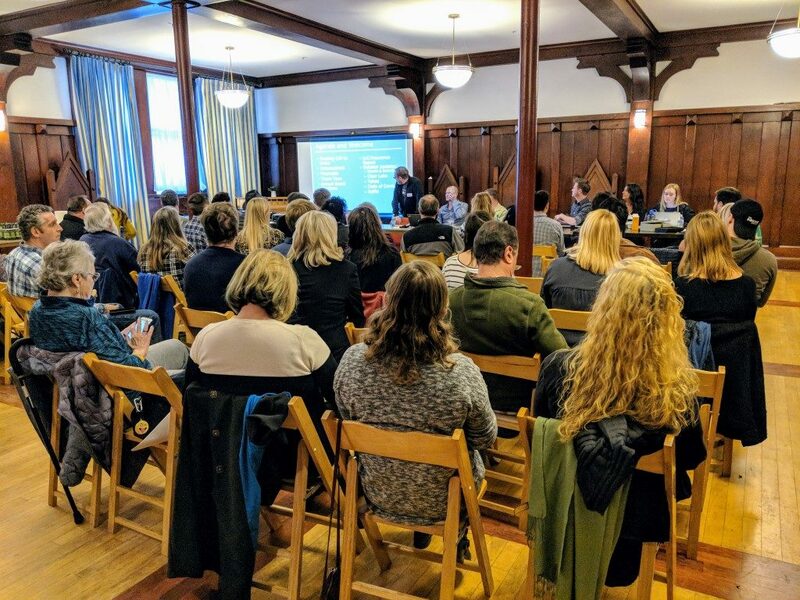 Former board members Allison Bakke and Mari Ölund together with Jeanette Flodell proposed the adoption of a code of conduct, with a sexual harassment policy, in precaution to all members of the club, attesting to the club’s core values of equality and anti-discrimination policy. After several hours of intense debate and exchange of ideas, the meeting was adjourned. The club was able to decide on the certain matters moving forward, setting itself up for success in 2018. Congratulations to all the new board members! 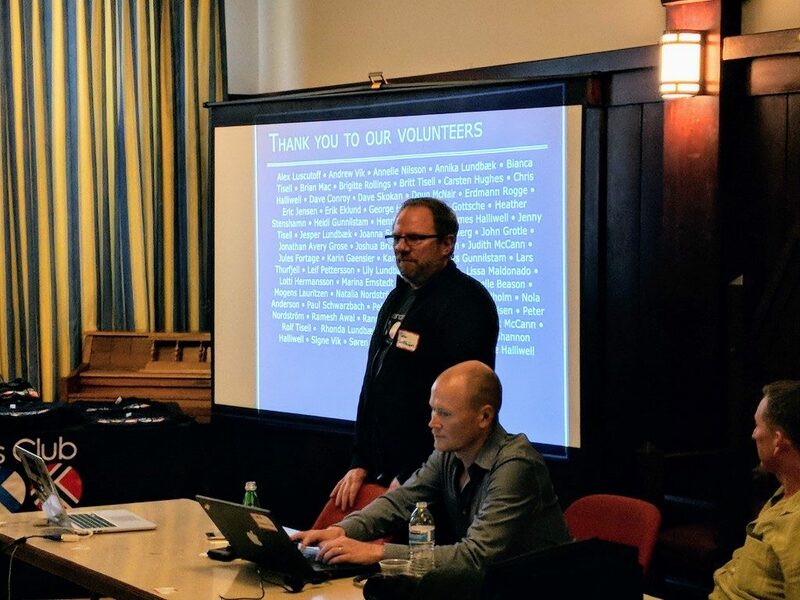 Many thanks to all the volunteers that have helped run the club and continue to make it the unique social gathering we all benefit so greatly from in connecting with our past.